A deck is a place that can be enjoyed by the whole family. It can surround a pool or just be a place to escape in a grassy backyard. There are a few things to remember as you build your deck to make sure it is properly built and as safe as possible. The best type of post to use when building a deck is a 6’x6’ post. This is very secure and will make a safe and sound deck. Many builders use 4’x4’ posts but these simply are not secure enough to hold the weight a deck presents. When picking materials for your deck, also make sure you select cedar or treated lumber for your deck. You also need to make sure you have proper spacing between the planks on your decks. Typically you would like to have them the width of a 16 penny nail. The reason for this spacing is to allow for the wood to expand and contract. You don’t want the wood to push on each other and cause damage over time. Make sure your balusters are installed correctly. This is frequently overlooked by many builders. Most builders put the balusters on the outside of the railing. This does not leave the railing secure enough to hold the banging and pressure that could be put on them by small children or other things that could push or pound against them. They should be put on the inside of the railing to be as secure as possible. The footing on the deck is also important. Going four foot into the ground is a good recommendation. It’s very important to have a firm foundation since the deck itself will be heavy and will also hold a lot of weight, too. 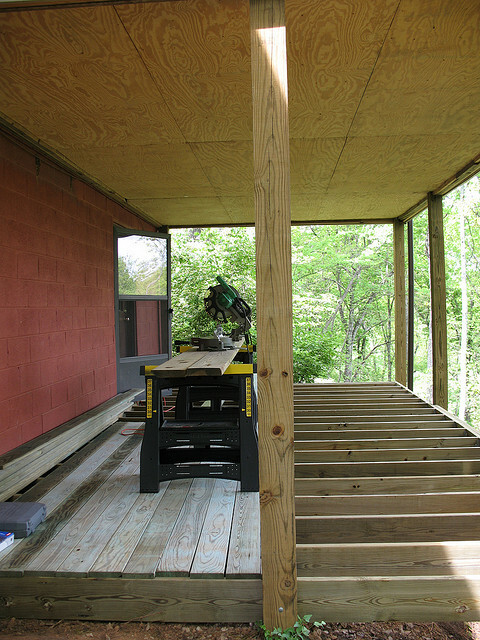 Things like post thickness, spacing in your deck, baluster placement, and your footing are all important considerations when you build your deck. When you take into consideration the important safety factors in these aspects of your deck, your family can enjoy it for years to come.